Three years after a video of Jay-Z, Beyoncé and her sister, Solange, fighting in a hotel elevator went viral, the family is finally able to laugh about it. On Sunday, the A-list couple recreated the infamous 2014 fight in an elevator in New York City, and the results were epic. The impromptu photo shoot occurred when Beyoncé and Jay-Z went to a private showing of Wonder Wheel at NYC’s Angelika Film Center for the rapper’s 48th birthday. When they were leaving up an elevator, the couple was caught by paparazzi, who begged them for a photo. Instead of immediately rushing to their car, Jay-Z gave the photographer the go-ahead to take a picture of them chilling in the elevator. “Hurry up, come get it,” Jay-Z told the paparazzo in a video posted by TMZ. Fans immediately considered the pictures as a nod to the couple’s notorious post-Met Gala fight at the Standard Hotel in May 2014. Leaked surveillance video of the incident showed Solange yelling, hitting and kicking at Jay-Z as a security guard tried to restrain her. One point in the video even shows Bey stepping in between her sister and her husband to stop the feud. The incident is widely believed to have been about Jay-Z’s recently confirmed infidelity. The recreated elevator picture comes a week after Jay-Z opened up to The New York Times about cheating on Beyoncé as a result of going into “survival mode” emotionally. In the interview, he credited therapy as the reason their marriage didn’t dissolve. 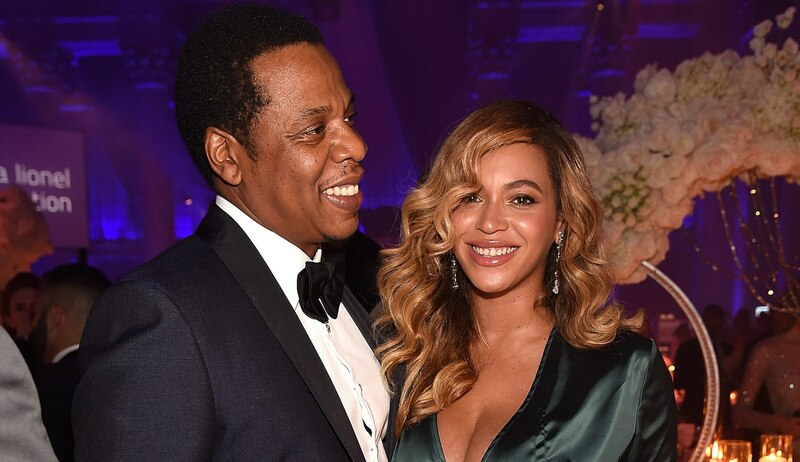 Though Jay-Z’s explanation of his infidelity was controversial, especially among BeyHive members, it looks like the two are putting the past (including viral elevator moments) in the past.